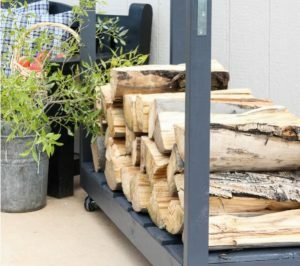 DIY: How to Build a Firewood Rack - GNH Lumber Co. DIY: How to Build a Firewood Rack - GNH Lumber Co. If you have a wood burning fireplace or stove, that means you’ve got a wood pile. 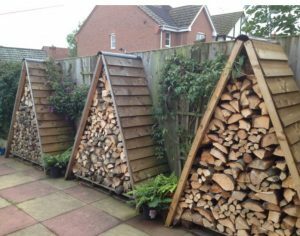 And if you’re lacking a firewood rack, chances are that a heap of unorganized wood is sitting by your back door creating an eyesore. 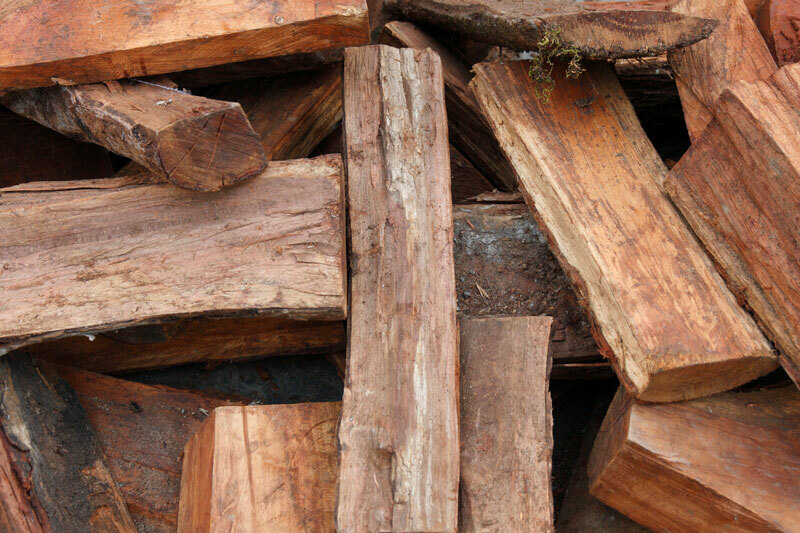 Even if your firewood is stacked neatly outside the door, you still need to make sure it doesn’t lean up against your house and trap moisture or you will create the ideal conditions for rotting wood and vermin. The perfect solution? A new firewood rack that will help you stack your wood and create an attractive feature for your deck, porch or backyard. 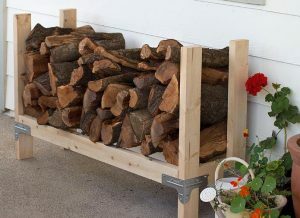 A well-made wood rack helps you store firewood nearby and keeps your porch or front step clean, and dry. Looking for a stylish way to store wood? Using a pallet as a base, you can create a “tent” with a couple of two by fours and some planks of wood to use as shingles. This idea comes from Single Track World. They also have some amazing ideas for building a DIY wood storage area or shed. Plus, they are beginner-level woodworker friendly. Check out DIY Done Right to download the plans and get started! If you want a firewood rack that’s easy to move, you’ll need a cart with wheels. This fun DIY is not only easy to make, it’s mobile! Having a cart that’s mobile is convenient if you entertain regularly on your patio or deck. All the directions and some great DIY photos of the process can be found on thewoodgraincottage.com. Happy building! And don’t forget that the experts at your local GNH Lumber are available to answer your questions, make suggestions, and help your complete your DIY project. Stop by today! Do you have a building project? 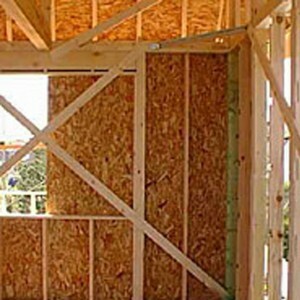 With our high quality in-stock lumber, plywood, name brand supplies and product delivery, you can’t lose. Browse products or visit us today!